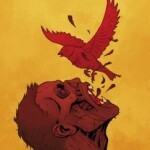 Deadshirt is Reading… is a weekly feature in which Deadshirt’s staff offer brief recommendations for a diverse array of comics, from name-brand cape titles to creator-owned books to webcomics. 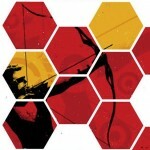 Hawkguy is back! It’s been four issues and a few delays since the big surprise death that broke this book’s heart, and we’re finally catching up to the aftermath. The newest issue fills in the missing pieces from the Pizza Dog mystery, Kate’s LA exodus, and The Clown’s spotlight story, artfully bobbing and weaving between expository moments to connect the dots and some truly heartfelt scenes of mourning. 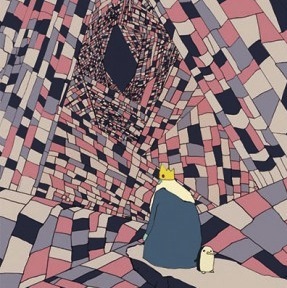 Aja employs the nine panel grid here in new and interesting ways, boxing Clint into this claustrophobic frames, alone with nothing but his regret. Fraction has really found the right balance of 70s neo noir and his particular brand of 5 o’clock shadow humanism, penning a breather issue that moves the plot forward, gives us repose, and smartly sets up the book’s new status quo of Aja drawing Clint stories featuring his brother, Barney Barton, alternating with Annie Wu following Kate out to California. The devil’s in the details here, whether it’s the cold shoulder Jessica Drew seems to perpetually give in her brief appearances, or the the comforting hug Clint offers his fallen compatriot’s father on the beach. If you’re not reading Hawkeye you’re not treating yourself well. Whenever I need a pick-me-up I grab an Adventure Time comic book. This issue has Finn, Jake, Bubblegum Princess, and Marceline the Vampire Queen battling a bubblegum-esque enemy and pondering life’s most important questions, like: How do you keep delicious candy-people safe if everyone wants to eat them all the time? And: how come people always call you when you just want to be sleeping? The back-up is a high-energy beach party that’s totally rad and features an art style that’s drastically different (and in a good way!) for this series. That’s just one of the many things I really like about the Adventure Time comics, including Candy Capers and the Fionna and Cake series: they use so many different types of artists and writers and colorists and so on. Every issue has about a billion different (and equally gorgeous) cover variants that feature both up-and-coming artists and established pros, and the back-ups to each issue are written and illustrated by different people. It’s great to see such a fun comic book embraced by so many people, creators and readers alike. Baltimore is a dark and hauntingly beautiful title that I have been reading for years. Set in a plague-ravaged Europe directly after World War I, Baltimore follows the travels of Lord Henry Baltimore as he hunts down Haigus, an ancient vampire responsible for the death of Baltimore’s entire family. In this world, vampires have taken advantage of humanity’s weakened state and have begun to turn the freshly dead into, well, the freshly undead. The Infernal Train has our protagonist pitted against a religious fanatic, a city overcome by death and vampires, and a strange woman who has been using a mysterious engine for a grim and dire purpose. This title updates in miniseries and one-shots at odd intervals, so you never really know when the next installment will drop. Despite this, arcs never feel rushed or thoughtless — the weakest feel like stories pulled from a vast playground while the strongest feed back into an otherwise tightly woven narrative. The Infernal Train is more the latter, as the main plot point and antagonist date back to issue two of Baltimore: The Plague Ships, which was the very first arc of the series in 2011. Because the title is doled out in self-contained arcs, Baltimore is a fairly easy book to start reading. All the information you need is given to you in whichever issue you’re currently reading and any references to other arcs are explained within the story itself. As for this issue, the artwork by Ben Stenbeck is rich and textured, with strong lines and deep shadows. As you might imagine, reds really pop in this book and colorist Dave Stewart takes full advantage. Baltimore has always been a moody and satisfying read, and this newest installment certainly exceeds my already high expectations. This book deserves more credit and attention than it has been getting. Go get a copy and read it. 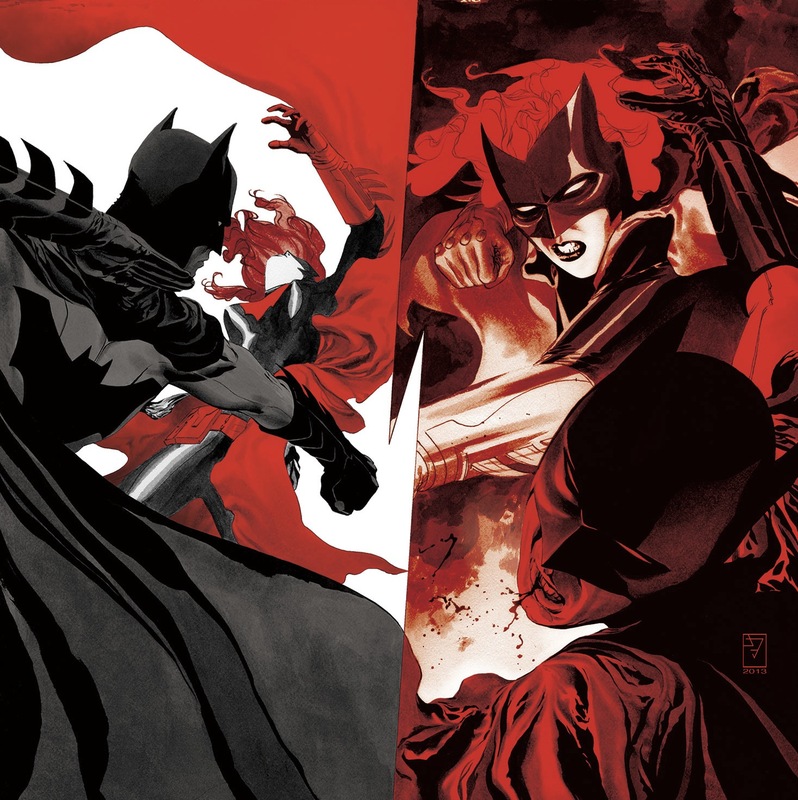 This issue, the spine of a story arc which pits Batwoman against the Dark Knight for the first time, is sadly also the final issue to be written by Blackman & Williams, the team that launched the book two years ago. Blackman & Williams have left the title behind due to irreconcilable differences with their editors and publisher, and as a result we’ll likely never see how this story was meant to play out, even after a new team picks up the ball next month. This issue’s energy and excitement was very much undercut by the knowledge that it was, essentially, the last issue of the book, before it becomes something else under the direction of its new creators. Also bittersweet are the moments in the story that remind you why this title has been a standout among DC’s New 52 launch titles. 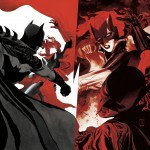 Finally staging a showdown between Kate Kane and her famous male counterpart helps to cement how different the two characters are, and what makes Kate special. While this issue isn’t drawn by J.H. Williams III himself, alternate artist Trevor McCarthy carries on the book’s tradition of unconventional panel layouts and parallel storytelling, carrying on two separate but simultaneous stories across the same two-page spread. Thanks for reading about what we’re reading! We’ll be back next week with a slew of suggestions from across the comics spectrum. In the meantime, what are you reading? Tell us in the comments section or on our Facebook Page. Next → Next post: 12 Years A Slave: The Saddest Episode of The Prisoner Ever?